Inspired by the secret coded diaries of Yorkshire gentlewoman Anne Lister, this play subverts all the conventions of a Regency romance. Teasing out the entangled lives of Lister (nicknamed "Gentleman Jack") and three of her many lovers, I Know My Own Heart explores the different choices women made in a time of limits and prohibitions. This U.S. premiere by novelist/screenwriter Emma Donoghue (Room) comes to the Pride Arts Center: Broadway Stage in Chicago. "...Still, there's much of value here to be learned about Lister's outlook and philosophy, even if Swanson's production is more of an intellectual accomplishment than a visceral and dramatic one. At its most fun, I Know My Own Heart escapes its stuffy collars and labyrinthian complications of relationships altogether and depicts the joys and solidarity of 19th century women enjoying each other's company, having an eye only for the present. It's there and there alone, Lister tells us, that we have any agency at all�in love or anything else." "...TV treatments of Lister's life are far more expansive, lavish and comprehensive than this four-character 1993 chamber play, yet I Know My Own Heart is effective perhaps because of the limits of its focus. This USA premiere also benefits from an intimate and intense production in Pride Films & Plays' smaller theater, directed with care and feeling by Elizabeth Swanson." "...What I appreciate most about "I know My Own Heart" is that it tells a joyful and heartbreaking story, but it refrains from doling out punishments and tragedies to the intrepid women it follows. It may not be exactly what you'd expect from a sweeping period romance, but it points onward, with the knowledge that this story has hope and is far from over." "...In a polished, surprisingly provocative production, Emma Donoghue�s US theatrical premiere has been beautifully directed in Chicago by Elizabeth Swanson and stunningly enacted by a cast of four talented young actresses. 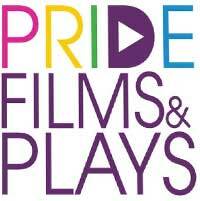 Don�t let the label �a lesbian love story� keep you away. This is a well-made story for everyone, about an individual who was simply way ahead of her time. Miss Lister was a tower of strength who knew her own mind. She recognized the power of good literature and valued a sound, well-rounded education, just as highly as being true to herself. Anne Lister, an early pioneer of the LGBT movement, lived during the time of Jane Austen, and felt the importance of knowing her own heart." "...I Know My Own Heart finds its best moments in facing the hurdles placed in front of these women, with more than a few poignant lines of dialogue woven into an otherwise dense narrative. "It takes considerable strength to defy the world," asserts Tib at one point, and reminding us in a single line just how much the world hasn't changed since Anne Lister's time. Katz, in her self-assured posture and no-nonsense delivery, stands out in the small cast even as Vafadari withers in the lead role." "...I KNOW MY OWN HEART is a love story that has these passionate women brought to life by a cast who feel-from this writer's view-- as though they are completely enveloped in their characters. It's an inspiring story for those willing to live their truths and become their own person. This show might not be the best fit if you're not looking for a passionate love story, but would be perfect for history buffs and those who love plays with powerful leading women." "...What this production portrays so clearly is the acute pain that comes from living, and loving, in a world that cannot imagine you existing in it. Donoghue has mined questions of erasure, identity, and desire from the story of Anne Lister, someone who perhaps considered herself utterly unique, and therefore quite alone. Swanson and her fantastic team tackle Donoghue's questions head on with fiery determination, and Chicago is all the warmer for it."